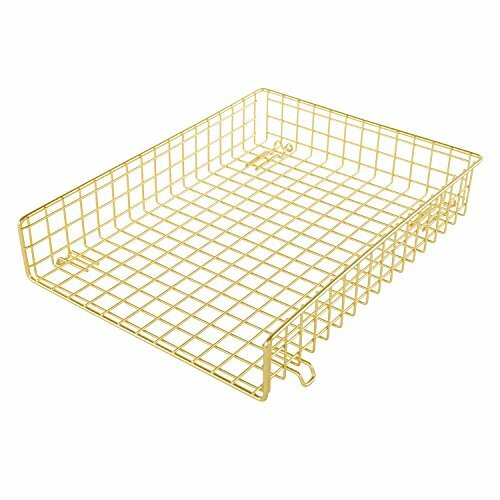 The Grid Wire Letter Tray is to maximize your storage space. It has an open design at front for easy viewing. The shiny gold finish creates a sense of noble and elegant. The Superimposed design maximize your space management. View More In Filing Products. If you have any questions about this product by DESIGNA, contact us by completing and submitting the form below. If you are looking for a specif part number, please include it with your message. Sansnow Bamboo Office Supplies Organizer Box Stationery Accessory Organizer, Bamboo 8" 4"